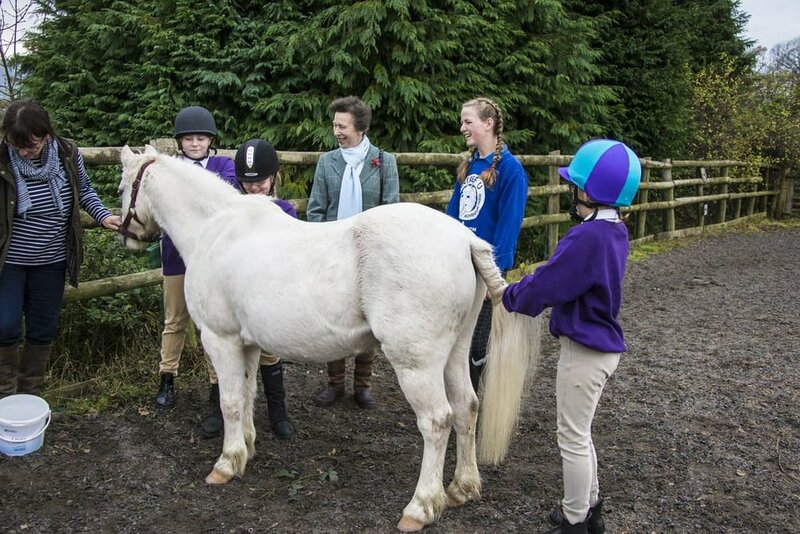 HRH The Princess Royal visited Pony Club Members in Wales last week to watch their Horse and Pony Care competition, before awarding the winners prizes. The Pony Club members, based at Cantref Adventure Farm and Riding Centre, showed off their skills and knowledge including naming items of horse equipment, plaiting ponies’ manes and tails and preparing horses for travel to a show. Family run and established for over 45 years, Cantref Riding Centre is set in the beautiful surroundings of the Brecon Beacons National Park. As well as being a Pony Club Centre, offering all the benefits of Pony Club membership to non-horse owning children, they offer riding lessons, pony trekking, have an adventure farm housing several different species of animal and camping and overnight stay facilities.